Don't struggle with making triangles again! 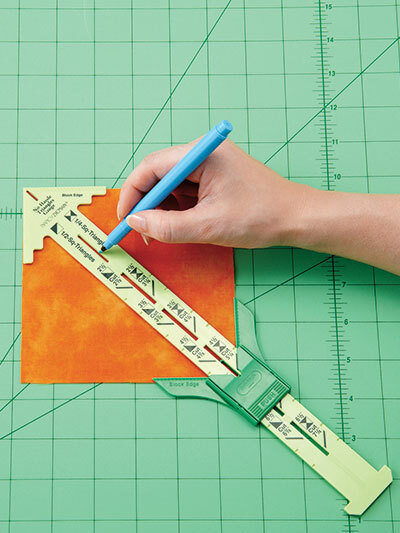 Easily make half square and quarter square triangles. Simply line up the point of the gauge to the corner of the square, slide the green movable part of the guage to the opposite corner of the square and lock into place. Then, just mark your cutting line through the slots. 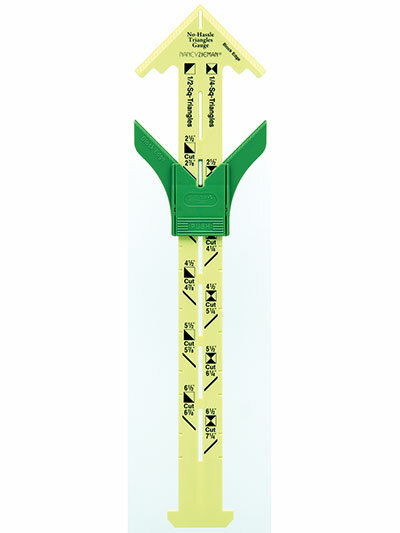 Create 2-1/2" (64mm), 3-1/2" (89mm), 4-1/2" (114mm), 5-1/2" (140mm) and 6-1/2" (165mm). Reference the left side of the gauge for 1/2-square triangles and the right side for 1/4-square triangles.